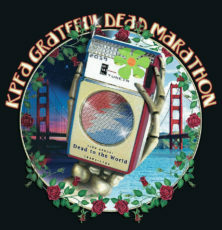 The 33rd Annual KPFA Grateful Dead Marathon hosted by David Gans and Tim Lynch (Dead to the World). 16 hours of Rare unreleased Grateful Dead and Dead-related music, interviews, live music, and more! It’s all happening during KPFA’s Winter Fundraiser on Mar. 2nd, All Day Long!